Taglines: We've Sensed It. We've Seen The Signs. Now... It's Happening. M. Night Shyamalan's first R-rated film. Continuity: At the beginning of the film when the two girls are sitting on the park bench, the one unaffected girl is talking to her friend, but she doesn't respond. Claire, the unresponsive one, is looking down at her book, her eyelids nearly closed, but when the angle changes, she is looking straight ahead instead of down. Allow me to provide some background information on my relationship with the films of M. Night Shyamalan: I adored "The Sixth Sense" and still think of it as one of the best films of 1999 and one of the best supernatural thrillers in ages. "Unbreakable" was a fascinating take on the superhero genre. I loved parts of "Signs" to bits and consider the sequence in the basement towards the end of the film one of the finest examples of suspenseful build-up in recent film history. I even liked "The Village" and could easily dismiss "Lady in the Water" as a mere misfire. I was greatly anticipating "The Happening", especially as it seemed to be echoing one of my favorite guilty pleasures- the paranoid 70's sci-fi thriller. Let's get one thing out of the way- "The Happening" is unbelievably, impossibly, ridiculously, hilariously, inconceivably bad. Normally I would refuse to rate any film that had any good scenes or that was well-directed less than four out of ten, but "The Happening" has to have one of the worst scripts among recent big-budget Hollywood films. It's absolutely shocking how retarded the logic behind this is and how poor so much of the dialogue is. This script began as "The Green Effect", a tremendously poor (trust me, I read parts of it) script by Shyamalan that was soundly rejected and eventually reworked into "The Happening". Having seen the critical reaction to "The Happening" prior to going into the film I found myself pleasantly surprised by basically the first thirty, forty minutes of the film. It was nothing special but it had something going for it, Shyamalan's direction was top-notch, and Wahlberg was playing the sort of goofy science teacher I'd loved (and loved to hate on occasion) in high school. Then the descent began. The bulk of this film is some of the most hilariously awful crap produced by a talented filmmaker since Schaffner's "Sphinx". Shyamalan, who was using close-ups and steadicam shots to frankly brilliant effect early on, begins to use the same shots to comical effect. There is one painfully, painfully long close-up of Mark Wahlberg pleading for time to think and then calling for his group to 'keep ahead of the wind' that is up there with Nicolas Cage in "The Wicker Man" in terms of hilariously awful acting. That scene may very well be the turning point in the film, with Wahlberg's acting becoming more ridiculous by the second, culminating in a performance that essentially wipes from memory all his tremendous recent achievements as an actor. I don't blame Wahlberg for this, I blame Shyamalan. 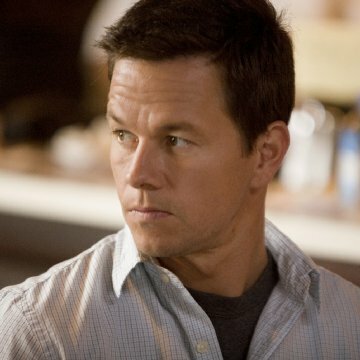 Wahlberg claims Shyamalan tried to force him into real paranoia so his performance would work better. What happens here (no pun intended) is that Wahlberg ends up looking amazingly uncomfortable for the last hour of this thing and struggles to deliver any reasonable line deliveries. Okay, I do have to credit Zooey Deschanel for making this movie watchable. Besides being amazingly, ridiculously gorgeous she is a fine actress and creates a sympathetic character (and a fairly well-drawn one at that- one of the few pros in Shyamalan's script). There's also the score: oh my it's gorgeous. Seriously, ignore this film and just buy the score CD by James Newton Howard- it's brilliant. "The Happening" starts out well but ends up being an absolute embarrassment. I was prepared for a mediocre offering- perhaps a misguided effort such as "Lady in the Water". I was not expecting a disaster on the level of "The Happening". Its last forty minutes and especially its last ten minutes or so are among the worst I have seen in a long time. Have you ever wondered if it was possible for a film to go from enjoyable to absolutely horrendous in the space of ten or fifteen minutes? "The Happening" is proof that it can, pardon the (intentional) pun, happen.